Traditional mail-in analyses are still available and DLI’s Garment Analysis service can investigate items using images sent with the Garment Analysis App. The Garment Analysis service is one of the best resources that business owners and managers can turn to in their efforts to both improve customer retention and reduce claims payouts. Any Analysis will be more thorough and accurate if you take the time to identify the specific problem experienced with the garment in question, including its location and type as well as any additional descriptions, whether it’s color loss, trim damage, shrinkage, or the like. We also ask that you provide information about which drycleaning or laundering processes the garment in question was subjected to, including solvent type, prespotting, wetcleaning program, and drying program, among others. In case of a dispute about whether damage to a piece of clothing was caused during the drycleaning / laundry cycle or in the course of regular use, offering to have the garment analyzed by an independent third party can do much to ease tensions (and cover your six, too). (The International Textile Analysis Laboratory – ITAL- analyzes all submitted garments or pictures of garments.) If the fault or damage proves to have been caused by the manufacturer, the drycleaner can use the independent third party analysis to help the customer file a claim or ask for their money back. Most Analyses also come with copies of or references to technical bulletins that deal with the item or problem encountered. To request a mobile Analysis, first open the App then enter your name, the name of the company, and an email address. Include the brand name of the garment, how it was cleaned, and a description of the garment including what color it is. After that, click on the pencil icon to type in the customer’s complaint as well as the problem as you see it. Take two pictures of the problem area, one of the care label, and one of the fiber content label. Add them, then click submit. After that, the Orders Dashboard will pop up to show you that your submission is Pending Review, which means that the file is on our internet servers and will be processed according to the order in which it was received. Understanding the results of a Garment Analysis is a key element of how to use it. Each Analysis returned to you will contain four sections, as outlined below. Examination. This is an outline of the what we found after performing an Analysis. Findings. These provide detailed insight into our Analysis of the high-definition, digital, enhanced photograph you submitted, or of the garment itself (if it was mailed in). Explanation. This is a detailed breakdown of the results of the examination as well as what the findings actually mean – in layman’s terms. Conclusion. After taking all the evidence into consideration, we form a conclusion about what happened to the garment, and when. We determine whether damage resulted from a manufacturer’s defect, occurred during consumer use or storage, is something we’ve seen before but don’t know its cause, or – in rare cases – is something unknown, the cause of which we can’t determine. Requests for a Garment Analysis that are submitted via a high-resolution image taken with a mobile device are closely scrutinized. If you’ve got a really tough nut to crack and need a piece of clothing gone over in more detail, however, Dr. Jim says that “We can actually perform microscopic, spectra-light, and chemical testing, etc.”, on items sent in the mail, the results of which will be included in the returned report. Due to the precision and care that goes into each Analysis, “It is a little bit like CSI [crime scene investigation],” said to David Machesney, owner of Pratt Abbott Cleaners in Westbrook, ME, and DLI’s Chairman of the Board. 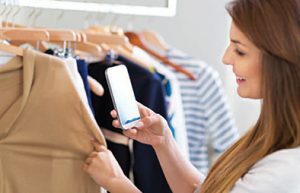 Request a Garment Analysis by downloading the Application via Apple’s iOS App Storeor Google Play. Express Analysis Services, Notarized Analysis Reports, and Restoration Services are available for additional fees. See how easy it is in this short video.